Do you love reading? With the coming of mobiles and smartphones the reading habits have changed quite a lot. 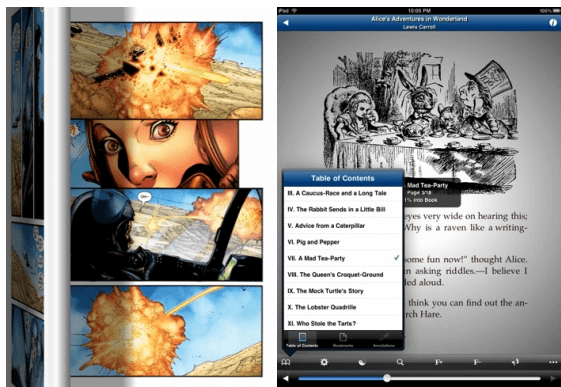 Now you can have best of the Apps to read a ebook on your iPhone. Many of the ebooks are free and some have a paid amount to have it loaded to your iPhone device. With a good ebook reader or App you can have the best reading experience that you might have reading for a real publication. Let us see the best Apps for the iPhone to make a good reading. 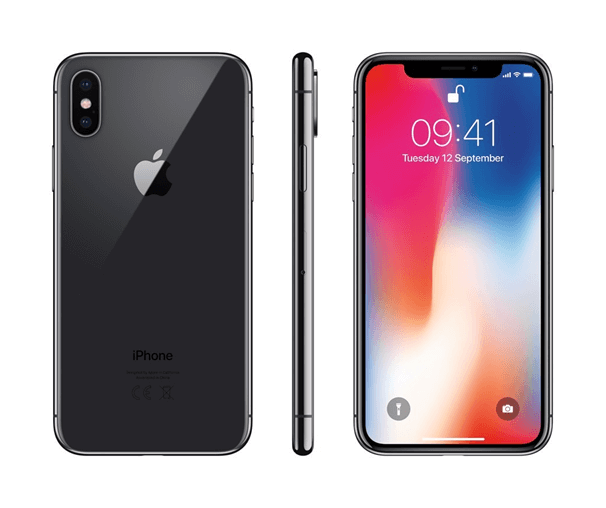 iPhone ebook apps have a catalogue of modern and classic electronic publications with customizable features and user interface to meet the reader’s requirements. iBook free App is available at iTunes. Features an iBooks Store, where you can download the latest bestselling books or your favorite classics, browse your library on a beautiful bookshelf, tap a book to open it, flip through pages with a swipe or a tap, and bookmark or add notes to your favorite passages. iBooks also opens content published in the ePub and PDF formats and adds ePub and PDF documents to iTunes and sync them to iPad, iPhone, or iPod touch. The iBooks Store is available in many countries. The selection of books in the iBooks Store may vary by country. Downloading from the iBooks Store or using iCloud features requires an Apple ID and Internet access. Multi-Touch books created with iBooks Author can only be read using iBooks on iPad or Mac. Adding books and PDFs from outside the iBooks Store to iBooks requires they be DRM-free. This App is available in English, Arabic, Catalan, Chinese, Croatian, Czech, Danish, Dutch, Finnish, French, German, Greek, Hebrew, Hungarian, Indonesian, Italian, Japanese, Korean, Malay, Norwegian, Polish, Portuguese, Romanian, Russian, Slovak, Spanish, Swedish, Thai, Turkish, Ukrainian, Vietnamese languages. Stanza (Lexcycle Free) is a wonderful ebook app for the iPhone. 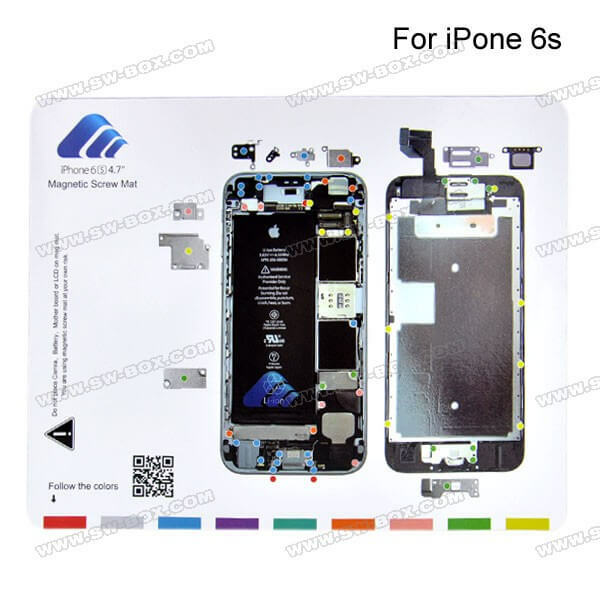 You can have this from iTune Store. 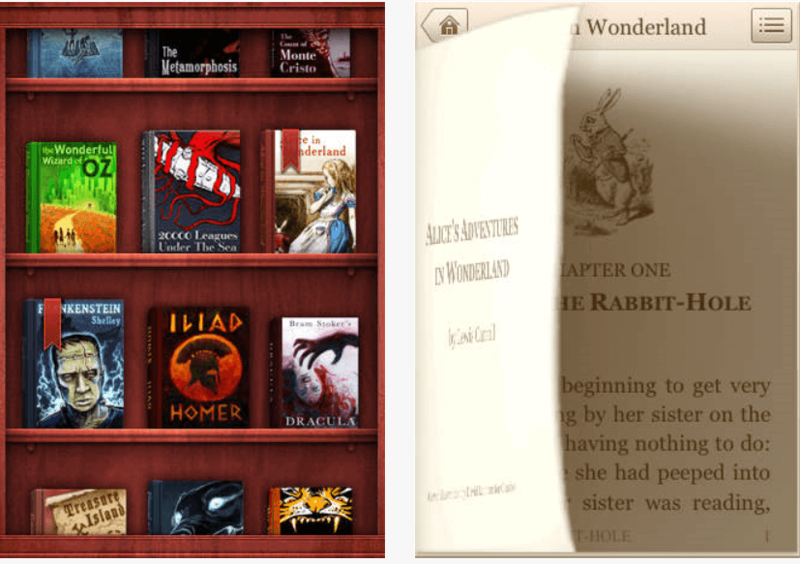 The Stanza app comes with one free ebook, Alice’s Adventure in Wonderland by Lewis Carroll. 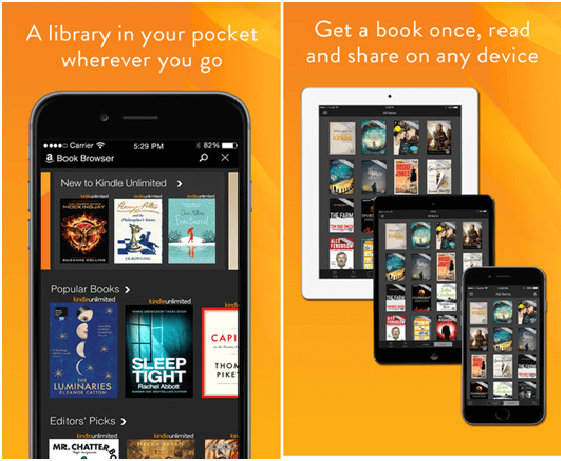 To buy new ebooks, the app links to several bookstores including BooksOnBoard and Fictionwise, and also offers free ebooks from Project Gutenberg, Feedbooks, and Random House’s Free Library. All these options make it easy to find and download ebooks. The purchasing and downloading process is simple, especially for free ebooks. You can browse and download these books directly in the app. To purchase paid ebooks you have to launch a separate web browser. Then you have to download the book within the app, which requires an “unlocking” process where you enter your name and credit card number. Stanza’s interface is easy to use just tap or swipe your finger to turn a page or tap in the middle of the screen to launch the menu. When you turn the page, the bottom curls up to resemble the page of a book, which is wonderful real look. The tables of contents are well laid out, and you can add bookmarks or annotations. There are also 24 fonts available, and the formatting can be changed according to your convenience. The Stanza iPhone app is compatible with both the iPod touch and iPhone. It requires OS 3.0 or later. Kindle Amazon App is available free at iTunes. It gives you access to more than 3,000,000 books and audiobooks including over 750,000 Kindle exclusive titles. With the Kindle app, get your book once and read it on any device and share across your family’s devices too. Choose from a wide selection of books, newspapers, and magazines from The Economist to The Week. With its friendly interface you can choose your font style and size, background colour, line spacing and margin size, enjoy nighttime reading with adjustable screen brightness, edit or change highlight colors, and select long passages that span multiple pages, tap and hold text for instant definition and translations. You can also search inside the book to find key ideas, characters, and locations using smart look-up, as well as background info and biographies from Wikipedia within the app with X-Ray for Books (English, German, Japanese, Chinese titles only) . The accessibility features make it easier for blind and visually impaired readers to navigate Kindle libraries, read and interact with books, and more. Kindle App is available in English, Chinese, Dutch, French, German, Italian, Japanese, Portuguese, Russian and Spanish languages and is compatible with iPhones, iPads and iPod touch. Nook App is available free at iTunes. 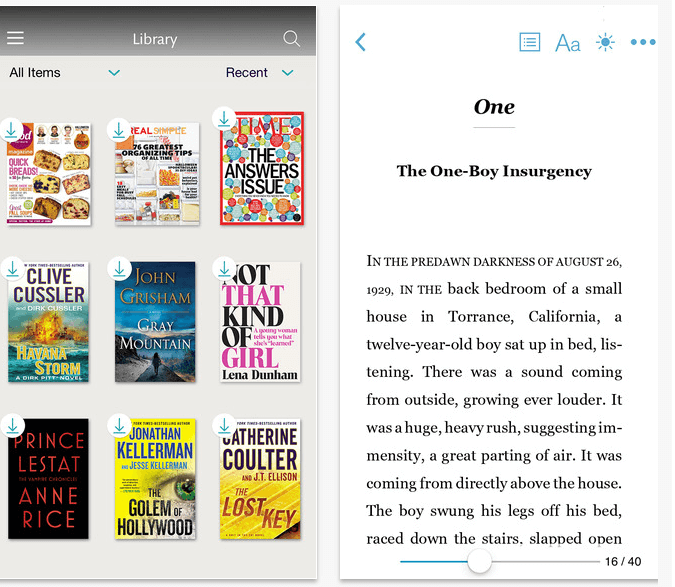 Nook delivers all the basic reading and customization features. You can create adult and child profiles and all family members can each have their own customized library view and each book remembers the place where that family member last stopped reading. You can select a title and add it to any of your custom shelves using the “Assign to Shelves” menu item on the product details page. You can access the iOS NOOK Settings in the settings menu to change auto-stacking, screenshot feedback, notification settings and more. Nook comes in English, French, German, Italian, Spanish as supportive languages and is compatible with iPhones iOS 7 or later. The Classics app (you have to pay for this app) is available at $4.99 at iTunes. Has a beautiful interface and well designed eBooks with stimulated page turns. You can tap the table of contents button on the top right for quick navigation between chapters, view how far you are in a book at a glance with a subtle progress display integrated into the top bar. Classics automatically remembers your place with a satin bookmark when exiting the app or book. Options to toggle ‘page flip’ animation to a more minimal ‘slide’, and to turn the page flip sound off and on can be found in your iPhone’s settings application. 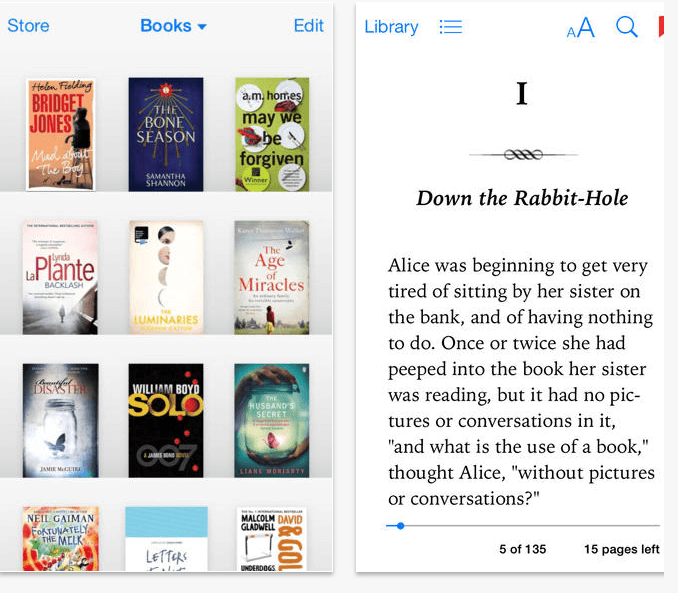 Any other eReader Apps for iPhone which sounds best to you?